Dr.’s Kenneth and Sabrina Magid’s commitment to providing lifelike results with the most advanced, minimally invasive, and functionally sound dental therapies continue to provide our patients the quality services and results they deserve. That explains why so many have chosen to become life-long patients and why Westchester Magazine’s Top Dentists, Consumer Research Council Top Cosmetic Dentists, Westchester Helath and Life Top Cosmetic Dentists and Plastic Surgeons, and Top Doc New York have all awarded Drs. Magid these prestigious honors. 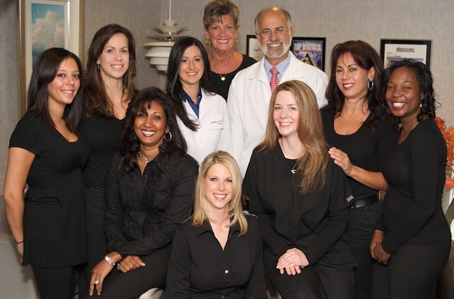 Dr. Kenneth Magid is a renowned and respected teacher, clinician, dental technology expert, and smile artisan. His position as Clinical Associate Professor of International and Honors Esthetics and High Technology at NYU College of Dentistry, as well as his appearances on ABC-TV, interviews by the New York Times, and status as an internationally known lecturer has helped to reinforce patient confidence in his knowledge and abilities. His standard of care, supported by research and clinical findings, is combined with warmth and caring to provide exemplary service. Dr. Sabrina Magid, a graduate of Duke University and University of Pennsylvania School of Dental Medicine where she was also a teaching assistant, has done research in the latest dental ceramics at NYU College of Dentistry. During her residency in General Dentistry Dr. Magid was awarded the Seminara Award as Resident of the Year. A member of the Academy of Dental Sleep Medicine with extensive training in the subject, Dr. Magid heads up the treatment of snoring and sleep apnea in our practice and has lectured to other dentists on this important issue. Dr. Sabrina Magid is a pioneer in providing dental care for deaf and hard of hearing patients. She has initiated programs for teaching basic sign language to dental students and outreach to schools for deaf and hard of hearing children. Our team is dedicated to exceeding your expectations of comfort, service and convenience. It will be an obvious distinction when you call, during your initial visit and throughout your treatment and especially after your smile has been rejuvenated and restored. We'll show you how high-tech dentistry can enhance your dentistry and your life!